Those in business should know the meaning of a “brand” (source: Investopedia”/ …a distinguishing symbol, mark, logo, name, word, sentence or a combination of these items that companies use to distinguish their product from others in the market.). 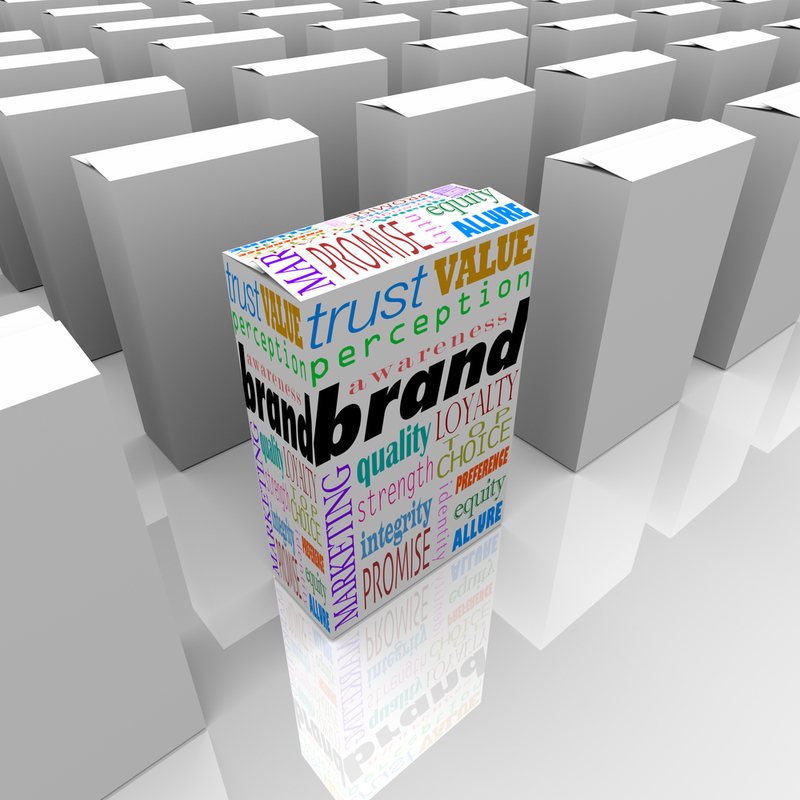 Taking it further, a “brand” is a promise of something that will be delivered by a business. This promise comes in a form of quality, an experience and a certain expectation in the mind of the consumer. It includes the Unique Selling Proposition (USP). A brand is an intangible asset which may increase in value if the business is positively impactful. We refer to this as “brand equity” which is comprised of brand awareness (the level of familiarity with the uniqueness of a company’s products and/or services), brand attributes (are the practical and emotional links which are allotted to a brand by its clients and potential customers), perceived quality (the customer’s perception of the quality of a product and/or service of a particular brand), and brand loyalty (when customers turn into advocates and loyalists due to their favorable series of experiences). To get an idea of the value of global brands, one only needs to consult the annual list of the most valuable brands compiled by Interbrand ─ a global brand consultancy firm. Consumer trust is the company’s most valuable asset; thus it must be protected. Reputations and trust affect brand equity. They are more difficult to win back than to lose. To become a desirable brand, be easy to do business with, focus on efficient and hassle-free service and refrain from deceiving customers. Unfortunately, these days we witness many companies, most are public, whose short-sighted strategies to spruce up profits, increase market share and maintain shareholder value, made the executives complicit in creating circumstances which resulted in cheating their customers ─ albeit discreetly. Nonsense, and plenty of it from ubiquitous brands, is probably the best noun to describe what consumers are offered by many companies selling their products and services to them. Whether it is about their advertisement, package labeling or an overstated pitch by their sales staff, the information presented may be deliberately misleading. Other brands take it further with their tiny print in disclosure statements – which defeat what is promised in larger and bold advertising headings. Alas, the majority of consumers do not read small footnotes. The following are a few examples depicting such cases. Chobani, renowned producer in the U.S. of Greek style yogurt with a significant share in its category was recently taken to court by a group of consumers for its false advertising. The plaintiffs claim that Chobani’s nutritional declarations on its product packaging are deceptive and confusing. Instead of reacting cautiously, Chobani officials were condescending. In court, they blamed consumers for being naïve and unable to apply common sense when going grocery shopping. They went further urging the judge to throw out the case. Canadian based large dairy and cheese producer Saputo thought it was a good idea to shrink the size of their milk bags rather than raise prices. After all, consumers would not take notice, was their thinking. However, what Saputo failed to realize is that consumers these days are savvier as they take the time to research online and elsewhere. They are also prudent where and how they spend their money – seeking the best value. Furthermore, people seek transparency with brands, let alone the ones they are loyal too. Consumers certainly do not appreciate deception. Now Saputo is scrambling to win back customer trust and loyalty by investing millions in doing so. British Airways, once the pride of the British as “The World’s favorite airline”, decided (their number crunchers take all the credit) without any advance notice to its passengers/customers, to eliminate long haul meals to Economy passengers for flights under eight-and-a half hours. Instead of the usual offer of a sandwich snack, the crew has been instructed to offer only one fun-sized chocolate six hours after their first meal. This frugal attempt has naturally infuriated customers. General Mills, the food giant known for its breakfast cereals was not immune from a lawsuit claiming it misled consumers by marketing Cheerios Protein cereal as a high-protein alternative to regular Cheerios. However, the main difference was that the former new version contained 17 times more sugar per serving than the latter regular version. The above brands have done nothing more than exploit their once devoted customers and having to reluctantly and awkwardly apologize in the end. They subtly make changes for their internal benefits while shortchanging consumers ─ and believing (more like hoping) they will not take note. Those type of moves certainly impact the brand and image. When consumers are delighted by a particular brand experience, they begin to bond emotionally with the brand. They become loyalists and advocates – buying into it more often and recommending the brand to others. This behavior serves to build the brand’s reputation which in turn increases brand equity. A Sloan Review article makes an excellent point by stating that “brand is a “customer centric” concept that focuses on what a product, service or company has promised to its customers and what that commitment means to them. Reputation is a “company centric” concept that focuses on the credibility and respect that an organization has among a broad set of constituencies, including employees, investors, regulators, journalists and local communities — as well as customers. Brand equity caters to customers and prospective customers alike as it measures marketing success in building and maintaining customer relationships. Alternatively, corporate reputation relates to who can help or hamper a company’s capability to achieve its strategic goals. Measuring brand equity consists of brand audits, brand evaluation and brand tracking all three conducted by brand experts trained in this specific area. Interbrand is a consultancy firm which does this and publishes its annual most valuable global brands listing. Managing brand equity requires brand reinforcement (through brand awareness and brand image), brand revitalization (increase product use, entering new markets, adding brand extensions and line extensions, re-positioning and seeking new markets) along with a brand management crisis plan for timely implementation (as in acting swiftly to savage reputation, recover lost sales along with consumer trust). As for companies which place profits before their customers, an ideal illustration is the infamous pharmaceutical brand Mylan whose callous CEO, Heather Bresch, along with her executive accomplices sharply increased the price on their severe allergy EpiPen from about $100, when Mylan acquired the product in 2007, to approximately $600 which comes in a pack of two. This naturally caused a national controversy and public outcry. Following this development, Ms. Bresch hastily decided to reduce the out-of-pocket cost to patients but retained the skyrocketed list price. Shortly thereafter, the drug maker began to offer a generic version of EpiPen for half the list price of the brand-name remedy. Due to its greed and short-sighted decision to increase pricing dramatically ─ most notably with a vital product it dominates, and whose principal acted in a condescending manner, the brand will suffer long-term trust and be scorned. Consequently, this may dilute the brand’s equity for some time. Incidentally, Ms. Heather Bresch heads the generic-drugs lobby and is the daughter of an American senator.